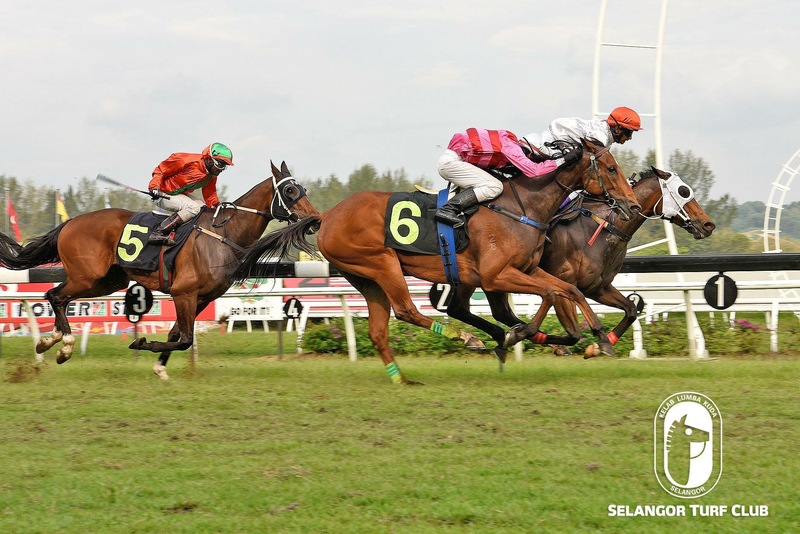 Trainer Frank Maynard’s Sacred Surfer (inner horse) should make amends in Race 5 at Selangor Turf Club on Wednesday – 6th February. On the track today (Friday), the seven-year-old by Choisir did two rounds of strong canter looking very fit. Last start at Perak Turf Club, Sacred Surfer ran an eye catching second to Silver Wind over 1200m last month. Sacred Surfer will be ridden by Jockey Jose De Souza and he holds a strong chance to greet the judges this time out. RACE 4: Bukit Subang cantered the first round and then galloped fluently over 600m in 38 seconds. RACE 6: Wow trotted on the inner sand first and then reeled off gamely over 600m in 36.6 seconds on a tight hold. Trainer Sivakumar’s last start winner, Mogan’s Pride (no 6) looks perfect for a back-to-back victory in Race 8 on Sunday. At the track, the ten-year-old season campaigner by Gold Centre with a track rider astride trotted and then showed speed in a workout over 600m in 35.5 seconds on a tight rein. Last outing, Mogan’s Pride with a replacement rider AK Lim on board came with a pulverising run at the finish to beat Elite Conqueror over 1400m last month. Stepping up from that performance, Jockey KC Wong has been nominated to ride Mogan’s Pride and the combination looks the best bet of the day. RACE 3: Mr Wolff strode out smartly over 600m in 35.6 seconds. RACE 4: War Dragon looking very fit when trotting and was restrained to do pace work.